A fantastic addition for the Warburton Waterwheel - featuring only locally produced craft, music, greeting cards, clothing and fresh produce from The Warburton Valley. Based on a shared space system, local producers of these products each rent a 'cubicle' or small space (approx 40cm x 40cm) at the Warburton Visitor Information Centre. This format provides visitors to the Warburton Valley a fantastic range of local products AND the ability for local producers to have low overheads, reducing costs for themselves and also purchasers of their products. Currently I work mainly in black and coloured inks, I have exhibited in the past and am working towards future exhibitions. Prints and most originals are for sale. 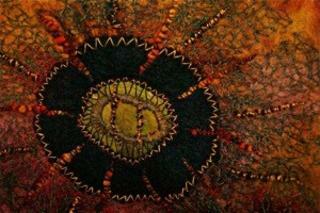 To all the very valued customers who have purchased my Eco creations a big thank you. 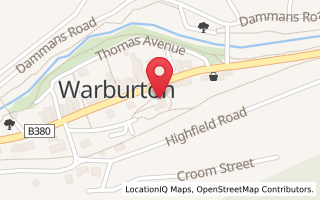 I would also like to thank the enthusiastic and dedicated volunteers at the Waterwheel information centre where Warburton Handmade is located. 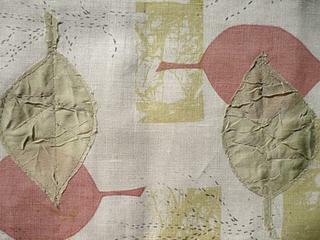 Gillian has a studio in Warburton and a range of 100% Linen Tea Towels available at the Warburton Water Wheel. 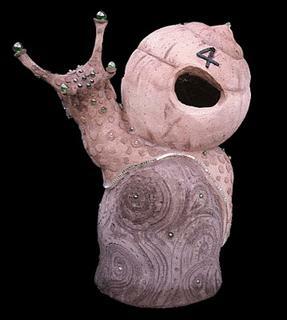 Gillian was part of the Yarra Valley 'open studio' project in 2012. 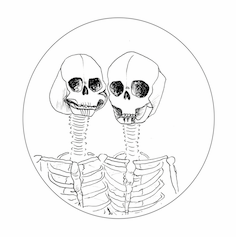 Living Lightly is a small business owned and run by two women who feel a natural connection to the earth. We love creating these candles because they bring a simple beauty and calm to daily living and a sacredness to special occasions, without adding toxins to our air. We find it satisfying to know that they are fashioned completely from natures bounty. We wouldnt have it any other way. We are both mothers who value family, health, well-being, our community and our precious planet. 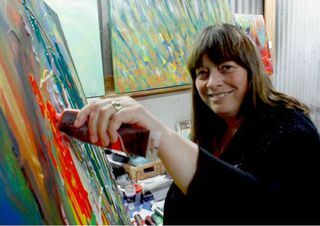 Marie Lumsden-Keys was born in Dunedin, New Zealand and became interested in drawing and colour from a very early age. Studied art at high school and Prahran College and did some small water colour and drawing classes. After many years as a Pre-School Mothercraft nurse, Marie brought up 5 children and sang with many Acappella groups and bands. 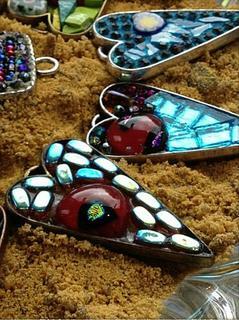 Sandy Peeters' mosaic jewellery is available at the Warburton Visitor Information Centre at the Warburton Water Wheel. Staffed 100% by volunteers - this information centre and art gallery is open 10am - 4pm daily. 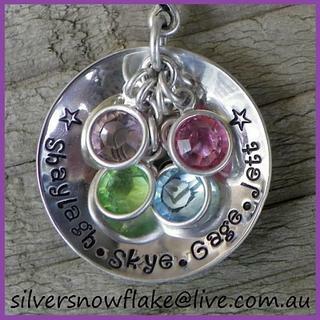 Silver Snowflake - Handmade personalised jewellery inspired by my love for family. I'm a stay at home Mum with a wonderful partner and four beautiful kids who I adore more than anything! We live in the beautiful Yarra Valley, Victoria, Australia. It's always been important to me to be home with my kids, to attend any and all school activities that they want me at and to be able to take them to school and also pick them up after school. I've always loved jewellery and sparkly things and with my four kids having unique names it was impossible to find anything personalised! I believe our imagination is the key to creation and manifesting our magical realities. am reminding us of the beauty and the journey in learning TRUTH and LOVE to understand life. LIVE, LOVE and ENJOY! Activate your rainbow ray. Remember, beauty is everywhere!" All of our wooden toys are hand crafted using recycled timbers and are finished in an organic tung oil. dolls are created using high quality 100% cotton tricot and filled with clean pure sheep's wool. Clothing for the dolls is also made using all natural fibres. 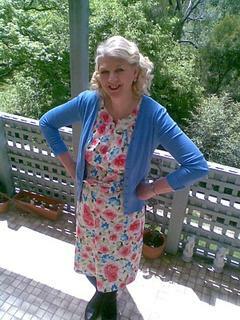 I love to combine new materials with vintage fabrics and often finish clothing with vintage buttons, laces and trims. 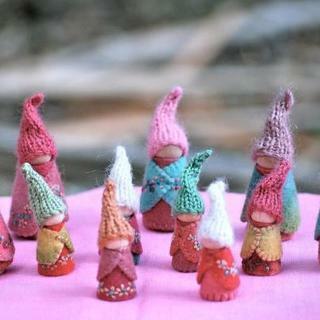 Knitted doll clothing is all hand knit using pure wool, mohair and alpaca yarns.